Whether the injection moulding simulations software (not only Moldflow) are 90% or 95% or 99% accurate or not: we should remember that these tools (or many of these tools) have more than 20 years of development and during this time they became better end better. 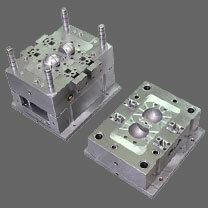 From the other side, as the older of us may-be remember, these tools born to contribute to develop and to realize new plastic parts and products in "concurrent" way, that is to take in account from the beginning (concept phase) the possible issues coming from the tooling phase and from the production. - The good sistematic use of these tools requires not only "quite special skills" from the peoples who make the analyses but also competence and a sort of organisation model able to use in the best way the information achieved from the analyses. At the base, there is the trust not only on the tool, but on the people who makes the analyses and gives the interpretations of the results (of course the analyze and the related interpretation of the results should be honest and good in order to achieve the trust from the colleagues and/or from the customers). This organization can be quite different if the plastic injection mould simulations are performed in house or by a consultancy firm, but, in general, it requires, to be very effective, a quite large degree of freedom of the tech departments in order they can quickly activate suppliers (mould makers, consultants, ..), a good program management to take in account also the time for the analyses in the time plan, but having the possibility to recover this time with the "parallelization" of the different tasks (concurrent engineering) and in the same time to increase the robustness of the program. Unfortunately, in the latest years I have seen that the organisation models and the related procedures of the companies (specially big and quite big) seem not match this perspective and also when my company was and is involved to check style concepts, in reality, these are not concepts but already virtual plastic parts ready to tool (and in many cases, all the job done was wasted because the style concepts was not so robust).